"Gympie Pony club was a very important part of my early life"
“Gympie Pony club was a very important part of my early life. Most weekends were spent either at a Club rally or competing at other club’s gymkhanas. 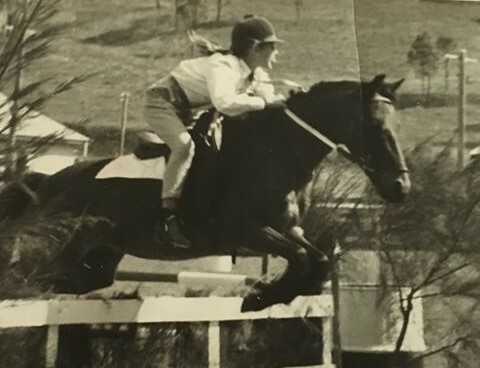 “I was about five years old when my family joined Gympie Pony Club. We didn’t have a float so for a while we lead the pony to Queens Park out the car window. [Remember this was 55 years ago]. When it was deemed that I could ride well enough I rode by myself. We always tried hard not to ride on people’s foot paths but sometimes we had to. Most people didn’t mind. When I was older I picked up other little people and lead them to Pony Club. “The club was unable to buy pink shirts so they purchased white ones and dyed them. So that the shirts didn’t come in all different shades of pink one person was in charge of the dying. Our chief shirt dyer was Mrs Nan Nolan. She had it down pat. “Competing at other clubs Gymkhanas was always a highlight. Our Club would hire a truck and driver and we would meet at our grounds, load the horses in the truck and meet up again at the gymkhana destination. The horses would be returned to our club grounds at the end of the day. I often rode home in the dark. One year my horse was accidentally left at the Imbil grounds and we had to borrow a horse float and go out in the night to collect him. He was in the yard tired and hungry after a big day. 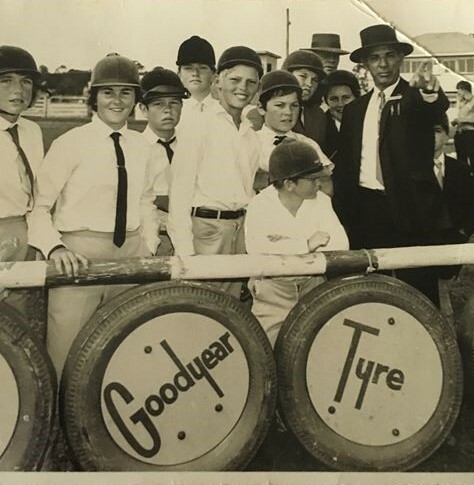 ‘Pony Clubbers don’t get into trouble, they are too busy looking after their horses,’ Mr Percy Bishop, Gympie Pony Club Instructor. “Over the 16 years I spent at the club I had many instructors and I would not try to remember them all but everyone’s favourite was Mr Percy Bishop. We were always excited if we were lucky enough to have him. I remember on more than one occasion Mr Bishop saying, ‘Pony Clubbers don’t get into trouble, they are too busy looking after their horses.’ Another favourite of mine was Mr Jack Atkinson. As a very young rider I loved having Mr Viv Nolan. “My Father built our first horse float. A single one made from a trailer. By then most members had a float and we took our own horses to events. There was no stopping us now and my parents carted me around South East Queensland to every event that was on. I am guessing nothing has changed in that respect. My parents were very involved in the club and they were very proud to received life membership in 1990. 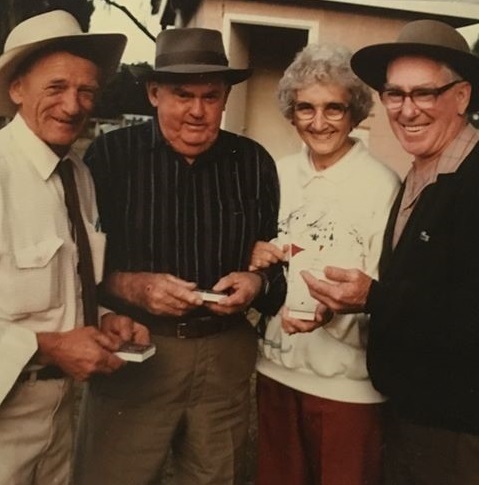 “Last year when my mother, Mrs Leslight, passed away it was so heart-warming to seeing Gympie Pony Club members there in their symbolic pink and green. The Gympie club has always been a strong club and this is because of the supportive people who have volunteered their time over the 60 years. “Congratulations Gympie Pony Club and I wish you and your members a wonderful year”. That is lovely, nicely remembered Kerry. And Percy, sorry Mr Bishop was one of my favourites too.